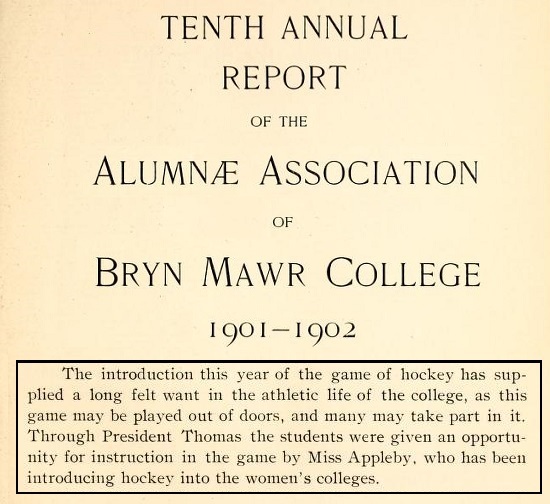 When Constance Applebee introduced field hockey to Bryn Mawr College in 1901, the school did not yet have its own newspaper. The College News, with Applebee as its faculty editor, would not begin publishing until 1914. 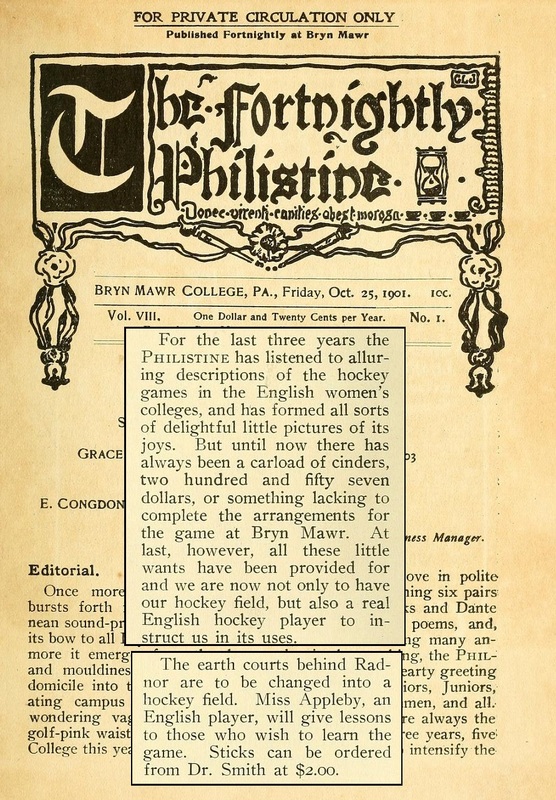 Two campus literary magazines, The Fortnightly Philistine and The Lantern, were in existence at that time, though, and they documented the arrival of the new sport. Posted on February 19, 2015 November 30, 2015 by Eric MeanyTagged Bryn Mawr, Constance Applebee, Frances Adams, M. Carey Thomas.